For a while, it just sat in a jar. It took some Auburn scientists—Jonathan W. Armbruster, David C. Werneke, and Milton Tan—to realize it wasn’t just another crazy catfish caught in some drainage waters down in Brazil, it was entirely new species. 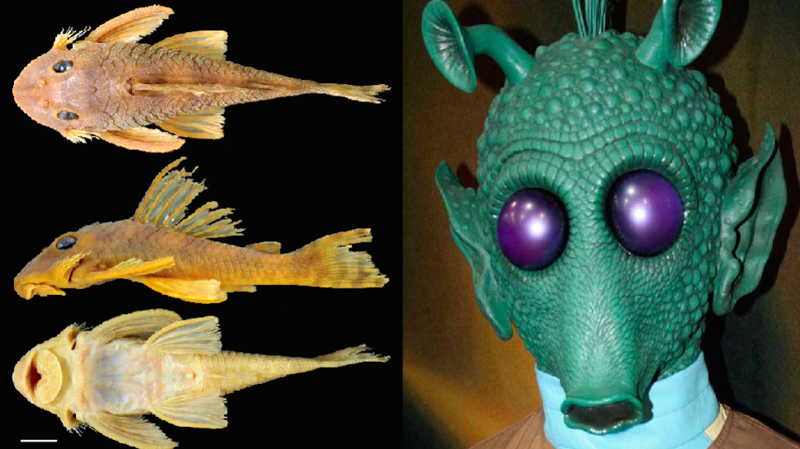 And that it looked like Greedo. In 2013, the spider scientist who shares the lab with Armbruster made news by naming a newly discovered species of spider after U2’s Bono. In 2012, he livened things up for Auburn fans by naming another spider after Aubie.